The main purpose of this paper is to investigate multi-temporal land surface temperature (LST) changes of Konya Closed Basin (KCB) in Turkey using remotely sensed data. KCB is located in the semi-arid central Anatolian region of Turkey and hosts many important wetland sites including Salt Lake. Six Landsat-5 TM images selected from the 1984-2011 period were used in the analysis. A real-time field work was performed during the overpass of Landsat-5 satellite on 21/08/2011 over Salt Lake to collect coordinated temperature measurements using a handheld GPS and thermal infrared thermometer. All satellite images were geometrically and radiometrically corrected to relate the image data with in-situ measurements. Thematic LST images were used to evaluate the conditions over the region between 1984 and 2011. The results show that real-time ground temperature and satellite remote sensing data were in good agreement with correlation coefficient (R2) values of 0.94. The remotely sensed and treated satellite images and resulting thematic indices maps show that dramatic land surface temperature changes occurred (about 2°C) in the KCB from 1984 to 2011. Analysis of climatic data supports this finding. Air temperatures and pan evaporation had significant upward trends from 1984 to 2011. Analysis conducted using both LST and climatic data prove that the basin has been experiencing drought in recent years. It is suggested that the use of water supplies, especially ground water should be controlled taking into account particularly summer drought impacts over the basin. Amiri, R., Weng, Q., Alimohammadi, A., AlavipanahS. K. (2009). Spatial–temporal dynamics of land surface temperature in relation to fractional vegetation cover and land use/cover in the Tabriz urban area, Iran. Remote Sensing of Environment, 113, 2606-2617. Avdan, U., Jovanovska, G., (2016) Algorithm for Automated Mapping of Land Surface Temperature Using LANDSAT 8 Satellite Data, Journal of Sensors, vol. 2016, Article ID 1480307, 8 pages,. 2016. doi:10.1155/2016/1480307. Balcik, F. B. (2014). Determining the impact of urban components on land surface temperature of Istanbul by using remote sensing indices. Environmental Monitoring and Assessment, 186,859–872. doi:10.1007/s10661-013-3427-5. Bastiaanssen, W. G. M. and Menenti, M. (1998). A remote sensing surface energy balance algorithms for land (SEBAL) 1. Formulation. Journal of Hydrology, 212, 198–212. Brunetti, M., Maugeri, M.,Nanni, T. (2000). Long-Term Trends in Extreme Precipitation Events over the Conterminous United States and Canada. Theoratical and Applied Climatology, 65, 165-175. Cai, G., Xue, Y., Hu, Y., Guo, J., Wang, Y. and Qi, S. (2007). Quantitative study of net radiation from MODIS data in the lower boundary layer in Poyang Lake area of Jiangxi Province, China. International Journal of Remote Sensing, 28, 4381-4389. Chander, G., Markham, B.L., Helder, D.L., (2009). Summary of current radiometric calibration coefﬁcients for Landsat MSS, TM, ETM+, and EO-1 ALI sensors. Remote Sensing of Environment, 113, 893–903. Chen, Y.H., Li, X.B., Li, J., Shi, P.J. and Dou, W., (2005). Estimation of daily evapotranspiration using a two-layer remote sensing model. International Journal of Remote Sensing, 26, 1755–1762. Christóbal, J., Ninyerola, M.Andpons, X., (2008). Modeling air temperature through a combination of remote sensing and GIS data. Journal of Geophysical Research, 113, D13106 doi:10.1029/2007JD009318. Coll, C., Caselles, V., Galve, J.M. (2005). Ground measurements for the validation of land surface temperatures derived from AATSR and MODIS data. Remote Sensing of Environment, 97, 288-300. Coll, C., Galve, J.M., Sánchez, J.M., Caselles, V., (2010). Validation of landsat-7/ETM+ thermal-band calibration and atmospheric correction with ground-based measurements. IEEE Transactions on Geoscience and Remote Sensing, 48, 547–555. Dash, P., Göttsche, F.M., Olesen,F.S., Andfischer, H., (2002). Land surface temperature and emissivity estimation from passive sensor data: theory and practice-current trends. International Journal of Remote Sensing, 23, 2563–2594. Du,Y., J. Cihlar, J. Beaubien, and R. Latifovic, (2001). “Radiometric Normalization, Compositing, and Quality Control for Satellite High Resolution Image Mosaics over Large Areas,” IEEE Transactions on Geoscience and Remote Sensing, 39, 623-634. [doi:10.1109/36.911119]. Florio, E.N., Lele, S.R., Chi Chang, Y., Sterner,R. and Glass, G.E., (2004). Integrating AVHRR satellite data and NOAA ground observations to predict surface air temperature: a statistical approach. International Journal of Remote Sensing, 25, 2979-2994. Franca, GB., and Cracknell, A.P. (1994). Retrieval of land and sea surface temperature using NOAA-11 AVHRR data in north-eastem Brazil. International Journal of Remote Sensing, 15, 1695-1712. Gillespie, A., Rokugawa, S., Matsunaga, T., Cothern, J.S., Hook,S., Andkahle, A.B., (1998). A temperature and emissivity separation algorithm for Advanced Spaceborne Thermal Emission and Reﬂection Radiometer (ASTER) images. IEEE Transaction on Geoscience and Remote Sensing, 36, 1113–1126. Guo, Z., Wang, S.D., Cheng, M.M., Shu, Y., (2012). Assess the effect of different degrees of urbanization on land surface temperature using remote sensing images. Procedia Environmental Sciences, 13, 935-942. Jiang, L. and Islam, S. (2001). Estimating of surface evaporation map over southern Great Plains using remote sensing data. Water Resources Research, 37, 329–340. Jiang, J. and Tian, G. (2010). Analysis of the impact of Land use/Land cover change on Land Surface Temperature with Remote Sensing. Procedia Environmental Sciences, 2, 571–575. Kantarcı, M. D. (2006). Effects of climate change and aridity on Ergene River basin water productivity. In: International conference on climate change and Middle East: Past, present and future (pp. 246–258). Istanbul, Turkey, 20–23 November 2006. Kendall, M. G. (1975). Rank Correlation Methods. Griffin, London. Kim, K., Jezek, K. C. and Liu, H. (2007). Orthorectified image mosaic of Antarctica from 1963 Argon satellite photography: image processing and glaciological applications, International Journal of Remote Sensing, 28, 5357-5373. Kundzewicz, Z. W.,Robson, A. J. (2004). Change detection in hydrological records: review of methodology. Hydrological Sciences Journal, 49, 7-19. Kustas,W.P. and Norman, J.M. (1999). Evaluation of soil and vegetation heat ﬂux predictions using a simple two-source model with radiometric temperatures for partial canopy cover. Agricultural and Forest Meteorology, 94, 13–29. Li, F., Jackson, T. J., Kustas, W. P., Schmugge, T.J., French, A. N., Cosh, M. H., Bindlish, R. (2004). Deriving land surface temperature from Landsat 5 and 7 during SMEX02/SMACEX. Remote Sensing of Environment, 92, 521-534. Mallick, J., Singh, C. K., Shashtri, S., Rahman, A., Mukherjee, S. (2012). Land surface emissivity retrieval based on moisture index from LANDSAT TM satellite data over heterogeneous surfaces of Delhi city. 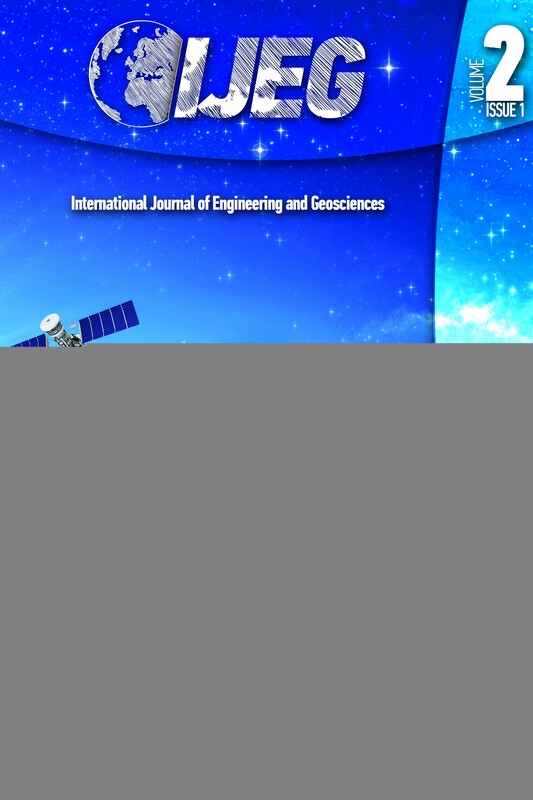 International Journal of Applied Earth Observation and Geoinformation, 19, 348–358. Mann, H. B. (1945). Non-Parametric tests against trend. Econometrica, 13, 245-259. Mohan, M., (2000). Climate Change: Evaluation of Ecological Restoration of Delhi Ridge Using Remote Sensing and GIS Technologies; International Archives of Photogrammetry and Remote Sensing. 33, Part B7, Amsterdam. 886-894. Nichol, J.E. and Wong, M.S., (2008). Spatial variability of air temperature and appropriate resolution for satellite-derived air temperature estimation. International Journal of Remote Sensing, 29, 7213-7223. Niedźwiedź, T., Twardosz, R., Walanus, A. (2009). Long-term variability of precipitation series in east central Europe in relation to circulation patterns. Theoretical and Applied Climatology, 98, 337-350. Markham, B.L., and Barker, J.L. (1986). Landsat MSS and TM post-calibration dynamic rangers, exoatmospheric reﬂectance and at-satellite temperatures. EOSAT Landsat Tech. Notes, August, 1986. Norman, J.M., Kustas, W.P. and Humes, K.S. (1995). Source approach for estimating soil and vegetation energy ﬂuxes in observations of directional radiometric surface temperature. Agriculture and Forest Meteorology, 77, 263-293. Owen, T. W., Carlson, T. N., & Gillies, R. R. (1998). Assessment of satellite remotely-sensed land cover parameters in quantitatively describing the climatic effect of urbanization.International Journal of Remote sensing, 19, 1663-1681. Pardo-Iguzquiza, E., Atkinson, P.M., Chica-Olmo, M., (2010). Dscokri: a library ofComputer programs for downscaling cokriging in support of remote sensing applications. Comput. Geoscience, 36, 881–894. Partal, T.,Kahya, E. (2006). Trend analysis in Turkish precipitation data. Hydrological Processes, 20, 2011-2026. Qin, Z.H. and Karnieli, A. (1999). Progress in the remote sensing of land surface temperature and ground emissivity using NOAA-AVHRR data. International Journal of Remote Sensing, 20, 2367–2393. Rothery, D.A., Francis, P.W., and Wood, C.A. (1988). Volcano monitoring using short wavelength infrared data from satellites. Journal of Geophysical Research, 93, 7993-8008. Rothery, D.A., and Francis, P.W. (1990). Short wavelength infrared images for volcano monitoring, International Journal of Remote Sensing, 10, 1665-1667. Schneider, K., and Mauser, W. (1996). Processing and accuracy of Landsat Thematic Mapper data for lake surface temperature measutements. International Journal of Remote Sensing, 17, 2027-2041. Sen, P. K. (1968). Estimates of the regression coefficient based on Kendall's tau. Journal of American Statistical Association, 39, 1379-1389.Sobrino, J.A. and Raissouni, N. (2000). Towardremotesensing methods for land cover dynamic monitoring: application to Morocco, International Journal of Remote Sensing,vol.21,no. 2, pp. 353–366. Sobrino, J.A., Jimenez-Munoz, J. C., Paolini, L. (2004). Land surface temperature retrieval from LANDSAT TM 5. Remote Sensing of Environment, 90, 434-440. Sobrino, J.A., Jiménez-Muñoz, J.C., Sòria, G., Romaguera, M., Guanter, L., Moreno, J., Martínez, P., (2008). Land surface emissivity retrieval from different VNIR and TIR sensors. IEEE Transactions on Geoscience and Remote Sensing, 46, 316–327. Solomon, S., D. Qin, M. Manning, Z. Chen, M. Marquis, K.B. Averyt, M. Tignor and H.L. Miller (2007). Climate Change 2007: The Physical Science Basis. Contribution of Working Group I to the Fourth Assessment Report of the IPCC. Cambridge, UK: Cambridge University Press. Srivastava, P.K., Majumdar, T.J., Bhattacharya, A.K. (2009). Surface temperature estimation in Singhbhum Shear Zone of India using Landsat-7 ETM+ thermal infrared data. Advances in Space Research, 43, 1563-1574. Su, Z., (2002). The surface energy balance system (SEBS) for estimation of turbulent heat ﬂuxes. Hydrology and Earth System Science, 6, 85–99. Tokgöz, N., & Kantarcı, M. D. (2001). The effect of SO pollution on forest in Turkey originated from coal consumption at East–Central–South European countries. Journal of Environmental Protection and Ecology, 2, 402–406. Wang, F., Qin, Z., Song, C., Tu, L., Karnieli, A. Zhao, S., (2015). An improved mono-window algorithm for land surface temper-ature retrieval from landsat 8 thermal infrared sensor data, Remote Sensing, vol. 7, no. 4, pp. 4268–4289. Xiao, H., and Weng, Q. (2007). The impact of land use and land cover changes on land surface temperature in a karst area of China. Journal of Environmental Management, 85, 245-257.